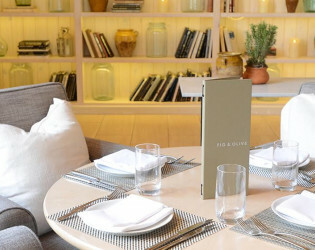 FIG & OLIVE Melrose Place centers around its delicious authentic Mediterranean cuisine. 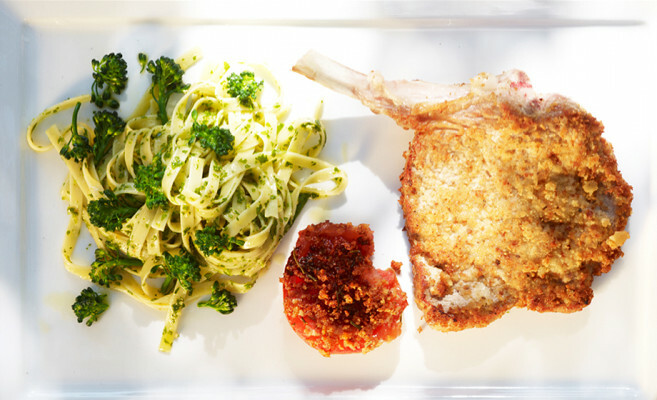 FIG & OLIVE's menu philosophy is based on the notion of clean, healthy and sophisticated ingredients and dishes, each prepared or finished with unique olive oils. 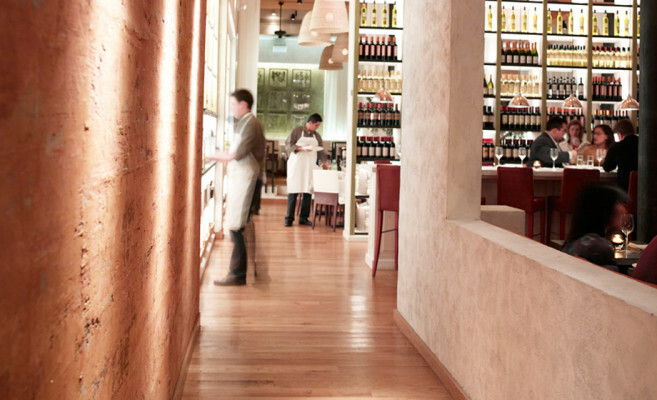 FIG & OLIVE is about passion for the best olive oils, flavors and cuisine from the Riviera and coastal regions of the South of France, Italy and Spain. 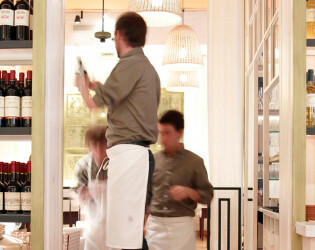 It is a full-service restaurant featuring lunch, and dinner menus. 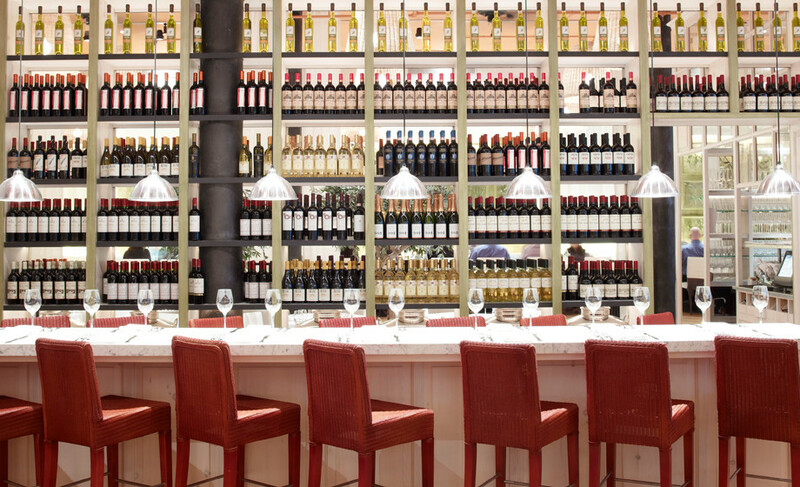 The exceptional wine list includes over 30 wines offered by the glass or bottle from Italy, France and Spain. 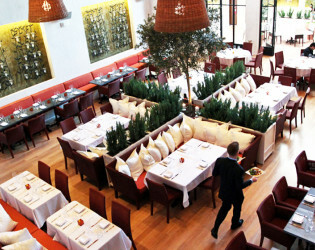 FIG & OLIVE's menu philosophy is based on the notion of clean, healthy and sophisticated ingredients and dishes, each prepared or finished with unique olive oils. The first FIG & OLIVE opened in New York City in 2005 and, in March 2011, FIG & OLIVE opened a new location on Melrose Place in West Hollywood. 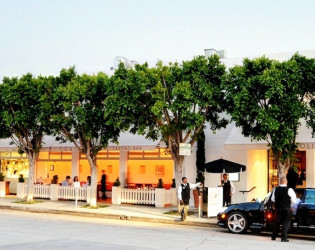 This spacious 8,000 square foot venue located in the heart of West Hollywood has become a favorite destination for media conferences, post-award ceremonies, political and corporate functions, hotel launches, bar and bat mitzvahs, weddings, fundraisers, birthdays, and anniversaries. 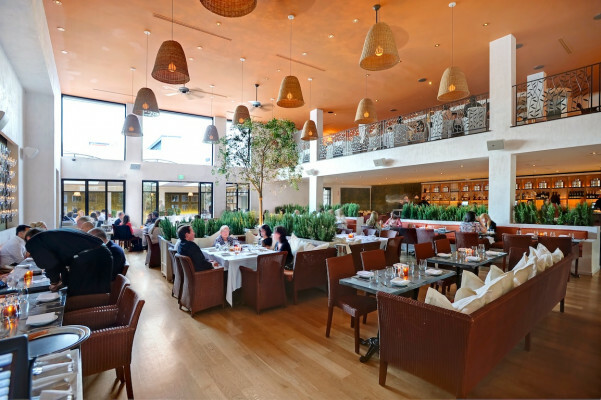 FIG & OLIVE Melrose Place centers around its delicious authentic Mediterranean cuisine from the South of France, Italy, and Spain. This space enables you to host a variety of events including fully-booked private events for up to 200 to 800 guests. Simply breathtaking: 8,000 square foot split-level space with candlelight, subtle green hues—all around an olive tree and rosemary plants. 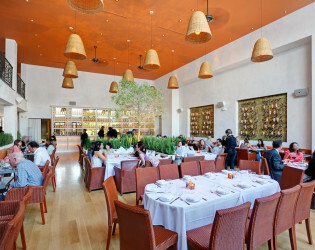 From a terracotta ceiling with hanging basket lamps to an olive oil collection display, this room delivers grace and elegance while being pre-wired for projector presentations and audio equipment. 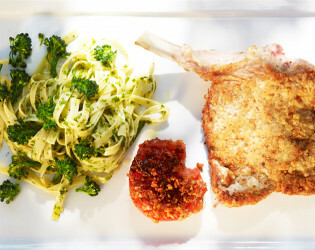 With executive Chef Pascal Lorange’s exquisite Mediterranean dishes, you are taken on an authentic journey. 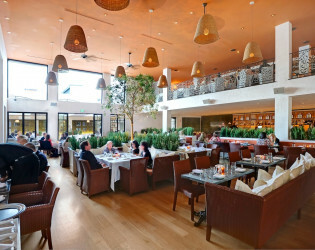 Our indoor patio brings to you the ultimate FIG & OLIVE experience. 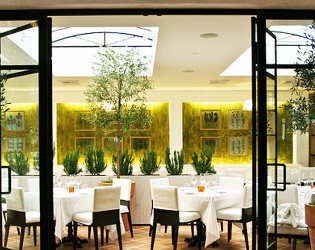 Olive trees and an array of rosemary plants create a warm and organic feel in this semi-private room. 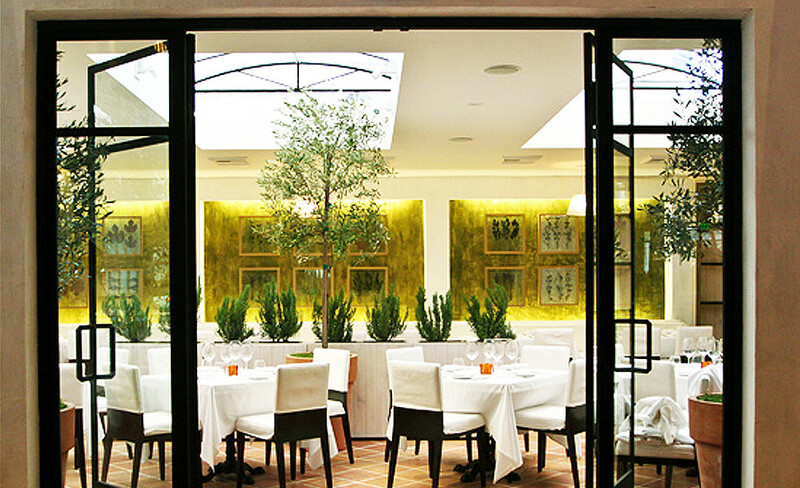 It is perfectly situated next to the main dining room while still separating guests by glass doors. The natural sky light completes its Mediterranean ambiance. This semi-private room is a perfect choice for brunch/lunch, bridal/wedding showers as well as intimate special evening occasions. 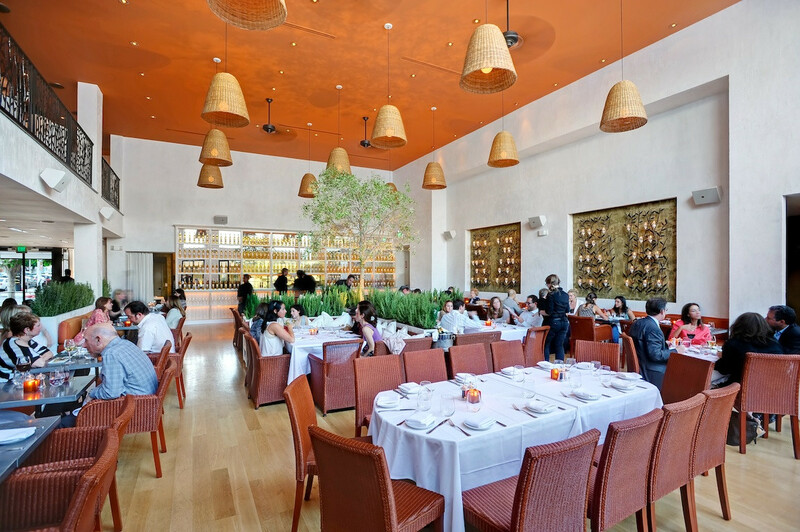 An ideal location for special celebratory gatherings, company events, conferences, or networking meetings. Candles and wrought-iron olive branches along the banister overlooking the main dining room, transforming this exclusive space into a perfect match for chic gatherings. 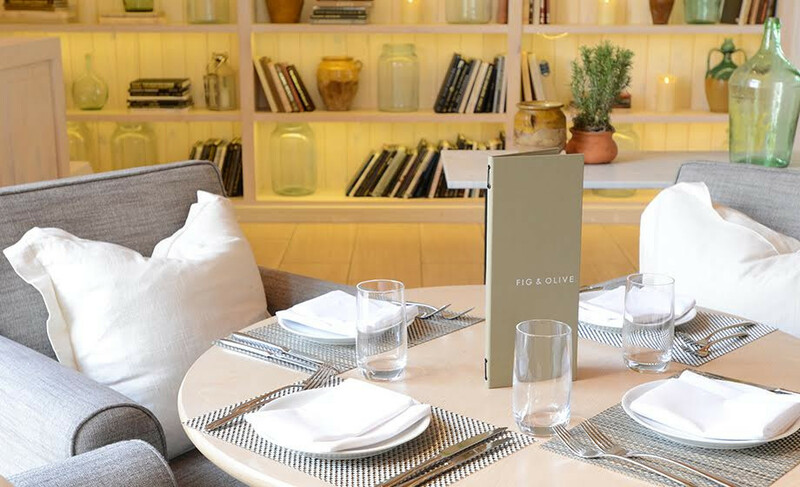 With flat panel televisions and a private entrance, as well as a lounge bar, FIG & OLIVE delivers an exclusive affair to remember. A fresh look on outdoor special event celebrations. 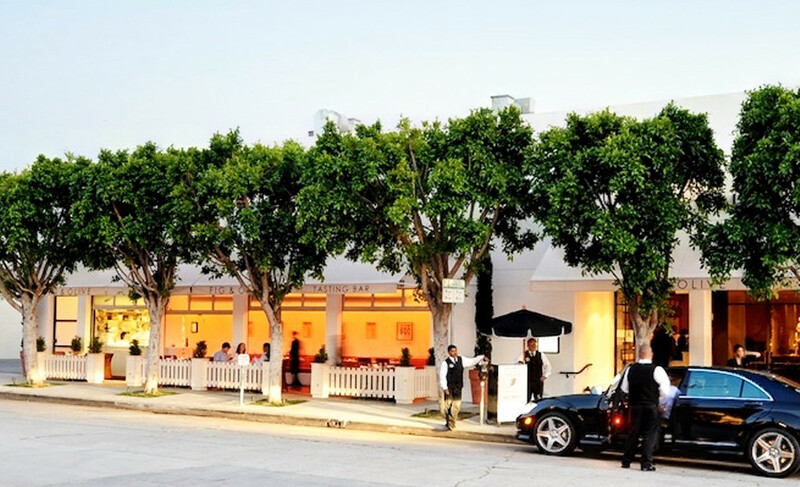 This space is perfect for post-award celebrations, fashion shows, and car showcasing. 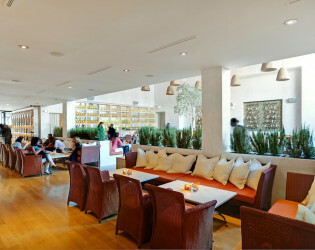 Spacious and lively with a panoramic view of the sky, it can accommodate up to 400 guests for a reception evening. FIG & OLIVE’s signature dishes embody our passion for the best olive oils and cuisine from the Mediterranean region. 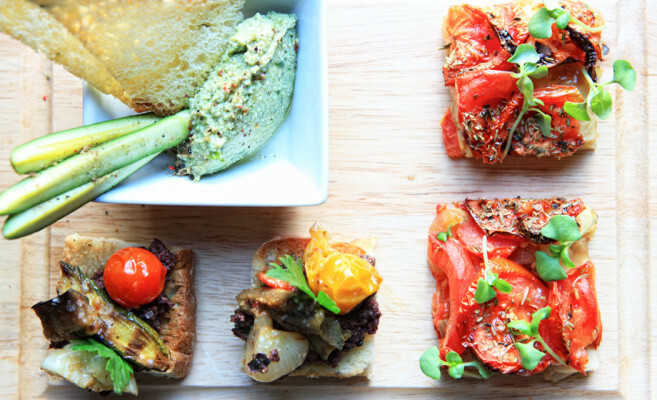 Each meal begins with a taste of three distinct extra virgin olive oils with the restaurant’s freshly-baked rosemary olive oil fougasse bread. 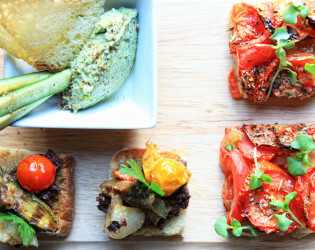 Guests can gather at the bar and lounge to enjoy tasting dishes and shareable small plates such as the Zucchini Carpaccio and the Fig Gorgonzola Tartlet alongside an assortment of Crostinis, Crudos, Cicchetti and Fritti, and imported charcuterie. Main dishes include the Riviera Shrimp and Salmon Salad, Octopus a la Gallega, Zucchini Blossom and Goat Cheese Ravioli, Paella del Mar, Mediterranean Branzino, and the FIG & OLIVE Rosemary Lamb Chops. 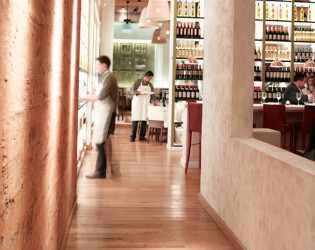 Desserts include the Crème Brulée Cheesecake and the Caramelized Apple Tart. The exceptional wine list includes over 30 varietals from the South of France, Italy, and Spain that are offered by the glass, along with full bottles and champagne. FIG & OLIVE is about passion for the best olive oils, flavors and cuisine from the Riviera and coastal regions of the South of France, Italy and Spain. 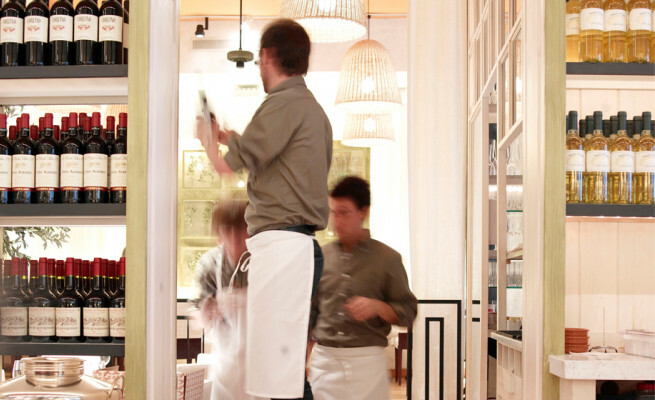 It is a full-service restaurant featuring lunch, and dinner menus. 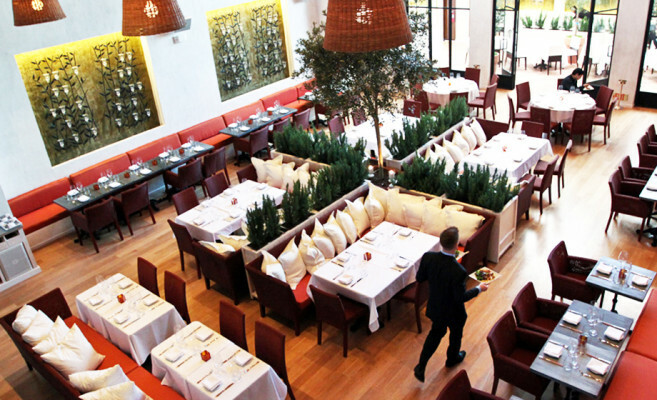 FIG & OLIVE’s signature dishes embody our passion for the best olive oils and cuisine from the Mediterranean region. 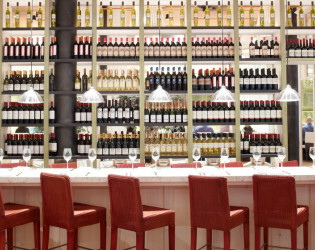 The exceptional wine list includes over 30 wines offered by the glass or bottle from Italy, France and Spain. 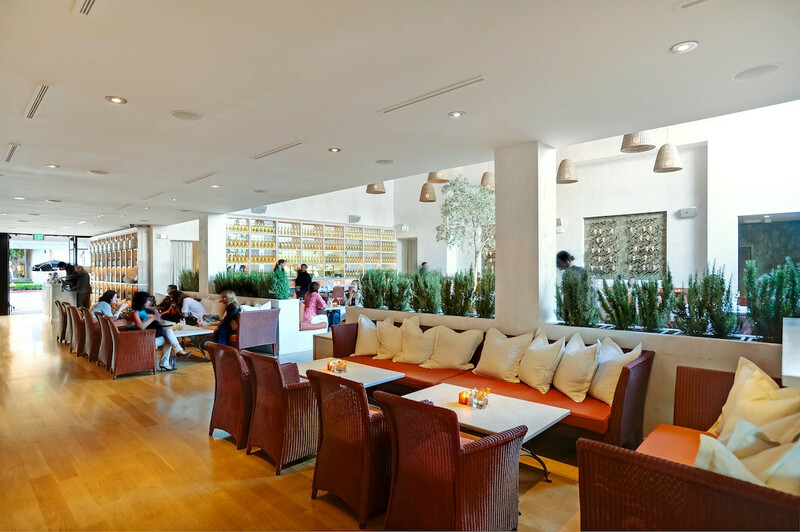 This space enables you to host a variety of events including fully-booked private events for up to 200 to 800 guests.